The certainty of being accompanied throughout the day by the subtle refined fragrance of your favorite cologne. 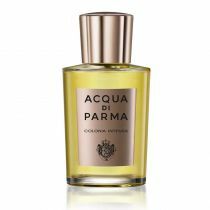 Acqua di Parma has created this stick deodorant of Colonia Intensa. 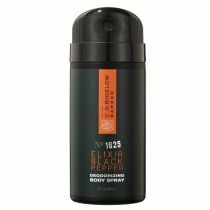 The deodorant effectively combines ease of use and pleasant fragrance. The alcohol-based formula has been carefully tested, confirming its 100% long-lasting deodorant effect. With its delicate formulation and very soft texture, suitable for even the most delicate skin, the stick deodorant have been thoroughly tested to avoid any irritation and formulated to respect the natural pH of the skin. 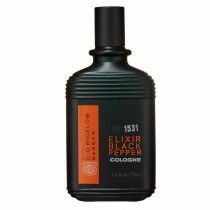 Colonia Intensa is an innovative and captivating blend of classic citrus top notes, aromatic spices and an elegant composition of woods and leather. 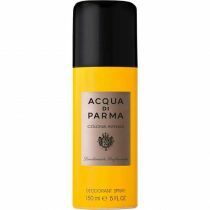 The packaging is in the refined Acqua di Parma signature yellow. The label is in bronze.